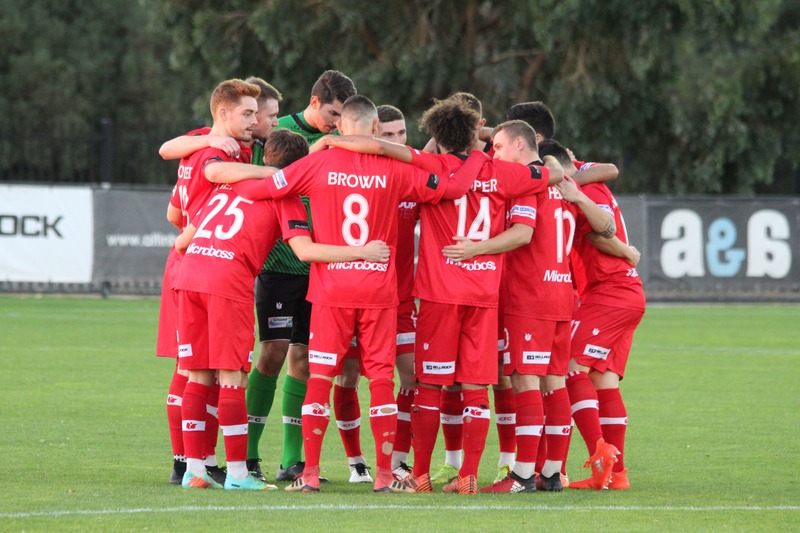 Hume City travel to Lakeside Stadium to take on South Melbourne FC, who have had a recent change in management. The away side will certainly be looking to carry the momentum from Round 8’s draw against top of the table Avondale FC. Nick Hegarty was forced to make a few changes. Gidi Sweet came in for injured Matthew Lazarides and Umut Bozdugan earned his first start, coming in for Harry Monaghan who was suspended after receiving a red card against Avondale in Round 8. At the 4th minute, Sweet’s long ball down the left flank found an onside Mitch Cooper who had enough time to find James Brown’s run which lead to the opening goal of the game, putting the away side up 1-0 and Brown claimed his 7th goal of the season. 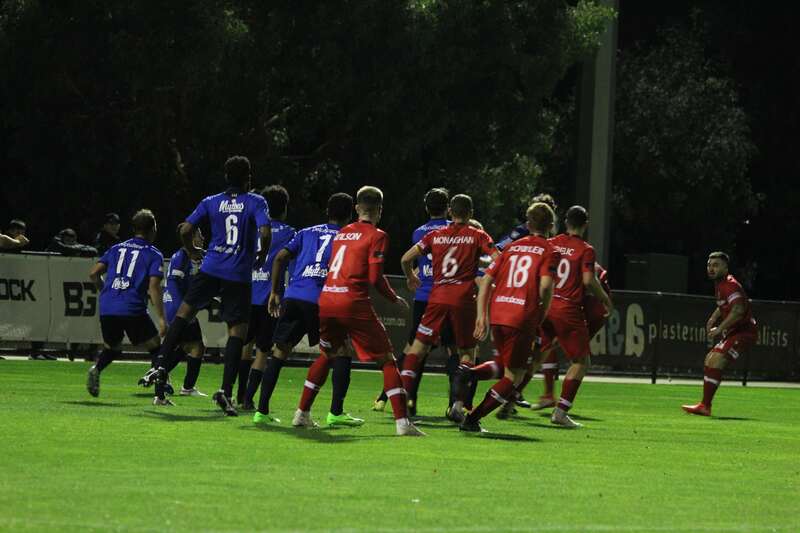 South Melbourne created a few of their own chances, with Gerry Sylaidos and Nick Krousorati both firing shots at Michael Weier at the 7th and 11th minute, but Weier was able to deal with the danger calmly. Some brilliant combination work between James Brown and Stevie Hewitt resulted in Brown’s cut across the face of goal being cleared by South’s defence at the 22nd minute. South Melbourne nearly equalized at the 33rd minute, after stealing the ball in Hume’s defensive half which resulted in Sylaidos’ shot hitting the side netting. 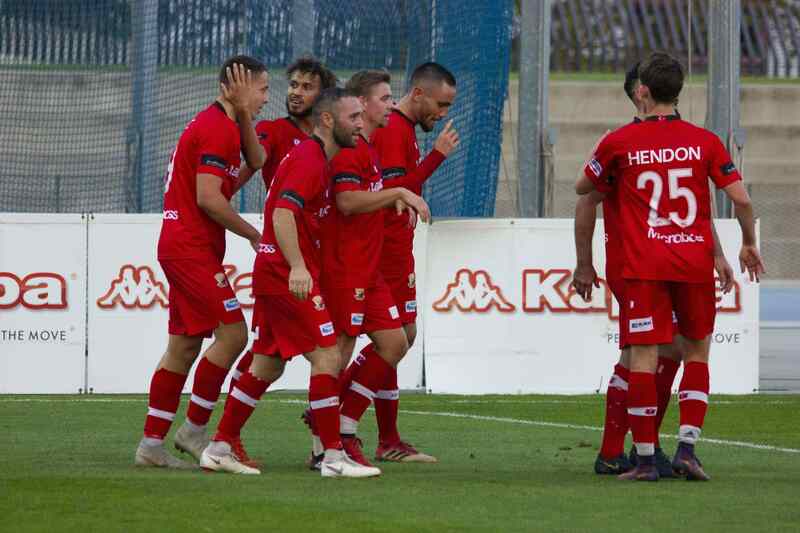 Hume City retaliated at the 34th minute, with Mitch Cooper’s dink to Stevie Hewitt resulted in Hewitt’s bicycle effort being inches away from putting Hume up 2-0. South’s best chance of the first half fell to Marcus Schroen in added time, but Schroen’s headed effort failed to test Weier after going wide. 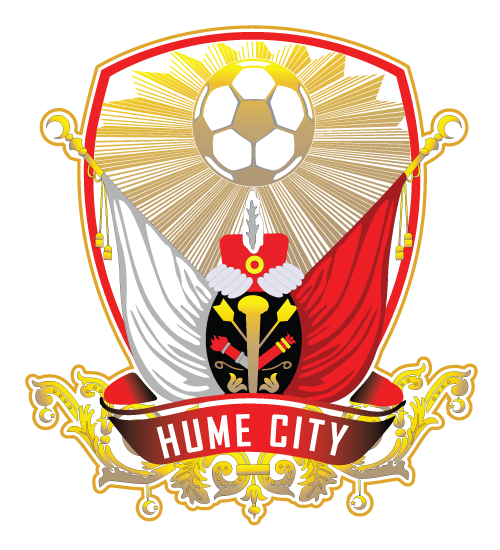 Hume City were certainly the more dominant side in the first half, but if anybody knows it’s a game of two halves it’s certainly Nick Hegarty, who would have been encouraging his side to produce the same quality after the halftime break. At the 62nd minute, Gidi Sweet’s cross into the box resulted in Mitch Cooper firing a low volley directly into Nikola Roganovic. At the 67th minute, substitute Ersin Kaya’s run down the left was found by Cooper and Kaya used his change of pace to create a shot which hit the side netting. At the 71st minute, Michael Weier’s long kick found an onrushing Kaya who managed to shake off his defender, which lead to Stevie Hewitt’s curled effort going away from goal. At the 73rd minute, defence turned into offence after Nick Krousorati’s shot was saved by Weier. Hume then cleared the ball to Ersin Kaya, who’s brilliant through ball resulted in James Brown putting the away side up 2-0. Brown now has 8 goals for the season. Hume continued to create chances despite being up 2-0 and at the 85th minute, a counter attack lead by Stevie Hewitt who found an open Ersin Kaya. Kaya’s unselfish pass across the face of goal found Brown, who managed to fluff his shot. Marcus Schroen almost pulled a goal back for South Melbourne at the 89th minute, but the ball rolling towards goal was cleared off the line by substitute Hayden Tennant who was extremely composed. The referee blew the final whistle at 90+8 minutes and Nick Hegarty’s men were singing their theme song loud and proud after the game. 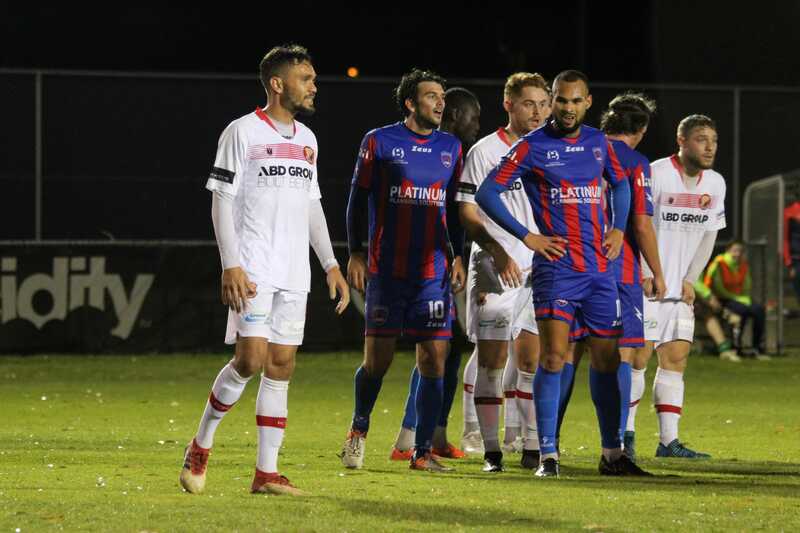 Hume have now climbed their way back into the top 6 and look forward to their FFA Cup clash on Thursday the 18th of April, as they host Mill Park SC at ABD Stadium at 8pm.